Returning with their trademark style for another season in the sun, Dutch style aficionados Scotch & Soda are set to inject your wardrobe with some of the coming spring’s key looks. 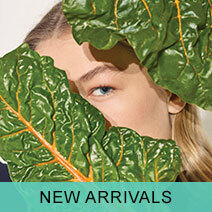 With a collection that heavily emphasizes the split between your casual and smarter looks, Scotch & soda have once again plied their beloved mix of high quality craftsmanship with unique design to offer up some truly individual pieces. By linking warm weather essentials with a few choices that will help to keep the chill off your arms on summer evenings, or on shady spring days, you can create a well thought out and creative look that is sure to turn heads-try crowning it with a pair of designer sunglasses. 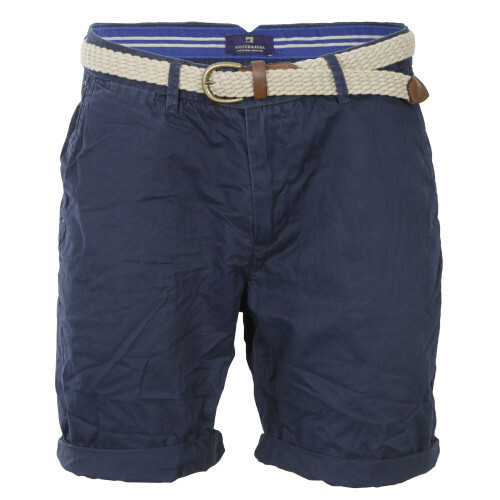 It’s never too early to start considering warmer climes, so invest in a good pair of all round shorts early. These Scotch & Soda shorts feature a tailored fit, and come finished in a comfortable and breathable pima cotton, ensuring that you keep cool when the temperature starts to climb. With a deep navy colour that has a slight wash to it, these shorts promise to be an easy all round ally when it comes to organising your style for when you’re out in the sun, whilst the woven belt offers the chance of a snug fit around the waste. 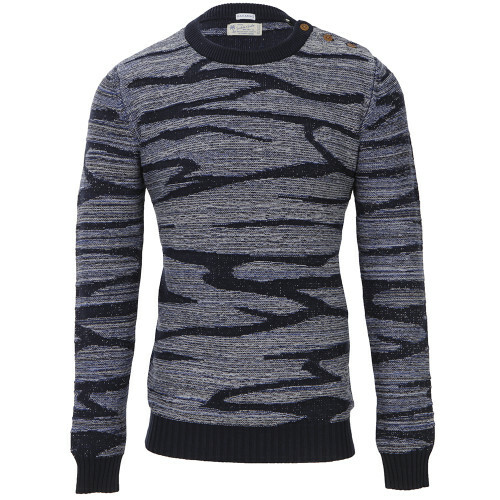 Offering some protection from any chill you might come across, this Scotch & Soda jumper is an eye catching way to work a floral pattern-one of the coming seasons biggest trends- into your look. 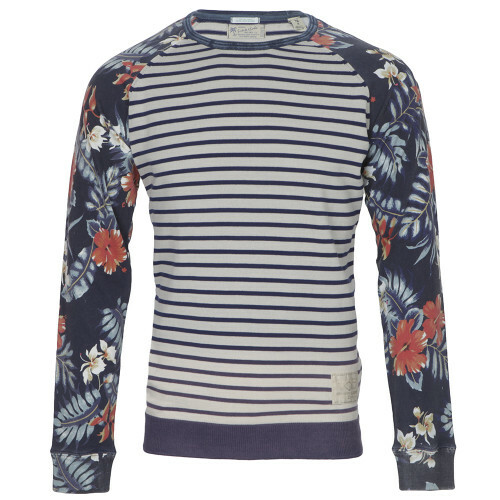 With a striped body that offers a touch of Scotch & Soda heritage, the navy details and background to the floral sleeve will tie in effortlessly with the shorts, ensuring that all the extra touches of this jumper stand out. If the previous piece proved a touch too daring, consider linking your shorts with this Scotch & Soda knit instead. Featuring a unique pattern, it provides details in the subtlest of manners, and carries a triple shoulder button feature. The mixed yarn construction of this piece gives it a beautiful texture, offering a unique eye catching look. Smart doesn’t have to mean formal, so don’t be afraid to experiment with your own looks and work in a dressier touch to your every day looks. Scotch & Soda have a great reputation for getting their casual tailoring elements just right, so working a well-cut blazer into this look is a must. Perfect for dinners or drinks in the sun, this look is all about asserting a touch of class into a simple yet effective ensemble. 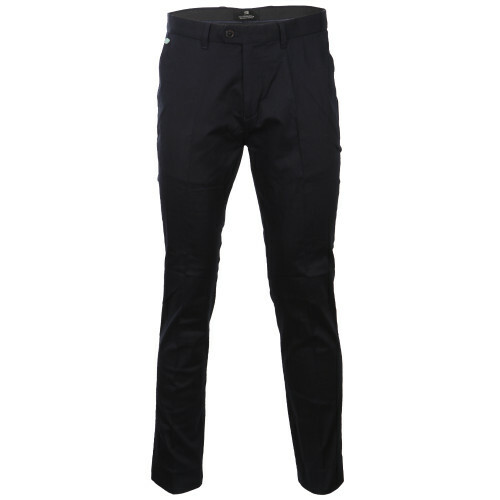 Starting off a smarter feel, these Scotch & Soda twill chinos feature a classic chino cut. Slanted pockets and a tailored leg offer a feel that slants towards a sharper look, whilst the twill material gives them a heritage inspired look that offers a heavy dose of distinction from your normal chinos. Never one do things by the norm, Scotch & Soda can inject your basic wardrobe elements with a touch of flair. Taking the classic Oxford shirt, they’ve given it an on trend full print. 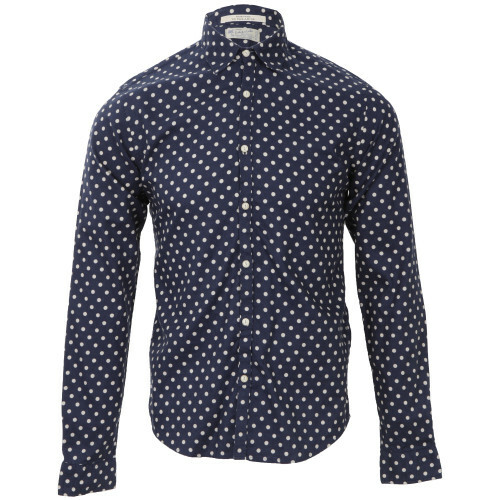 This shirt’s dark blue colour helps it keep its smart edge, whilst is polka dot pattern ensures that it leans away from a feel that would be too formal. Adding the finishing touch to this look, this Scotch & Soda blazer is set to inject a touch of well-deserved sartorial elegance. Kept ultimately dressed down thanks to its single button fastening, the light colour of this blazer jacket provides the perfect contrast against the dark colour of the shirt and chinos. 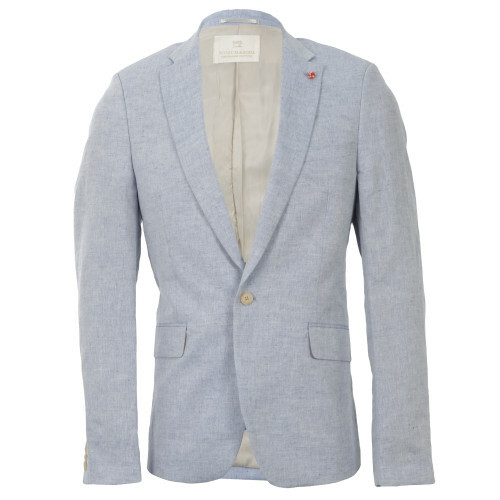 Made for summer, this jacket features a lightweight construction with a cotton and linen blend, making it versatile to wear for layering when the sun goes in, or alone with a shirt when the temperatures creep up.